A freelance translator can be easily found on the internet so why would anyone use a professional translator working within a translation agency? There are actually hundreds of thousands of translators on the internet. Each translator has his own specialization and his own language combination. What is important is that the translator can only translate into their native language, so-called their mother tongue, in order to maintain the quality of the translation. The translator’s mother tongue language is the one that the translator is most qualified in. Finding a translator is easy, but how do you know they are good? Check out their rating, for example, and see if that translator is specialized in the subject of your document for translation. OK. You found the right translator; you also need to check if he/she is available to deliver the translation in your time frame. You need to follow the same steps in order to find the right proofreader to check the quality of the document. 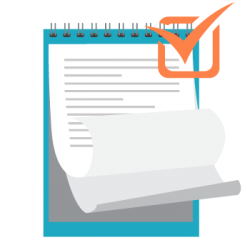 The proofreader is a translator who also specializes in the subject of your document who will compare the source text with the translated text looking for errors. Any technical problems or DTP settings have to be solved by you as a client if you opt to go with a freelance translator. If you choose to go with a company, the professional translation services will also include fixing above issues. 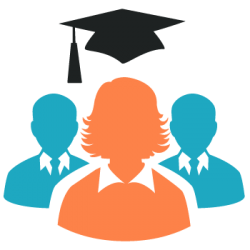 So what distinguishes our professional translation services from freelance linguists? We blended high technology with human knowledge to deliver the most excellent and precise translation process that surpasses clients’ expectations. We have a record of large organizations in our customer portfolio and they have trusted us over the years with their translation needs. We have many years of knowledge managing various sorts of translations from easy to the most complicated translation projects, making us specialists in providing professional translation services at a global scale. We recognize the difficulty of each form of translation thus we formed a much better process of translation to meet the clients’ expectations and demands. Each client has different translation criteria and considerations; that is why we make the translation procedure smoother and easier for the clients. A freelance translator working on its own might not be able to offer all that. A freelancer may offer to proofread the translation by himself and give you a better price maybe, but since he already worked on translating the content, the freelancer will be biased so may not be able to spot all the errors. Professional translators and proofreaders are always needed when accurate translation is a must. 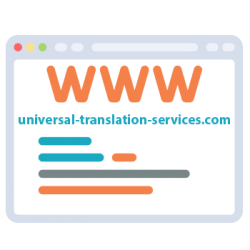 Beginning from online word count and estimation, we set up a website to process your translation quicker and simpler by just adding your website to be translated and by supplying your email to us to respond in a short period of time. Or if you have a document to be translated you can just drag and drop the file into the box offered on our website and then provide your email for our fast reply. 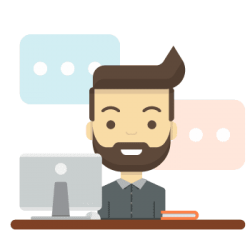 We also have our online support available 24 hours a day where you can communicate through live chat to get a live quote from us. Once the translation procedure has been started, you will be surprised how effective and accurate, we work because we make use of state-of-the-art translation industry CAT tools (Computer Assisted Translation Tools) such as SDL, Trados, MemoQ and Déja Vu to allow our skilled and native translators to work faster. Using the built-in translation memory with those tools also brings cost savings for you. And for a more effective stream of translation procedure, we load all translation files in our self-developed project management software so the translations will be prepared by our project management team whereby each process has built-in process quality check by a professional translator, proofreader, and project manager achieving that the final translation meets the high-quality requirements. Our quality management system conforms to ISO 9001 standard and we are also a member of the American Translators Association thus we offer you the assurance of quality for our professional services. We have over 3,000 professional translators in our network, helping clients all over the world and working in 120 different languages, and our three project management teams work in different time zones and are always prepared to offer a reliable global translation service that can fulfill your needs at anytime and anyplace. 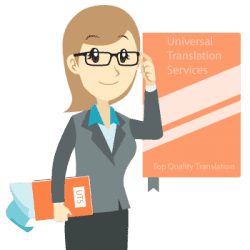 If you are searching for high quality translations, cost-effective translations, and faster turnaround for your company or personal translation needs, Universal Translation Services is all you need. A professional service gives you the chance to discuss your content before getting it translated, as the translation of your content should be fluid and a collaborative process from the beginning till the end. This can only be achieved if the person translating your content is a qualified mother-tongue linguist with extensive knowledge of your target language so that he can accurately communicate the message and details of the content. 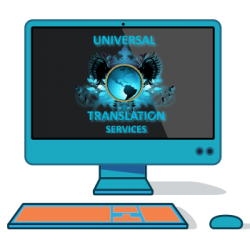 Universal Translation Services is an international translation company, which offers translators with sector-specific experience, thus improving the quality of the output and meeting the expectations of the client. Also, like any professional translator, Universal Translation Service only uses expert and fully-referenced linguists who have a good track record and never fail to meet deadlines. We have translators available to meet any requirements from our clients, which makes the process smooth and easy. This eventually is necessary for a professional service not just for maintaining the quality but to also keep up in the market and maintain their position. 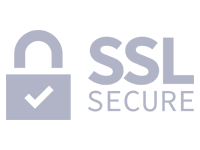 Talking about maintaining the position in the market and keeping up with the competition, a professional translator also has the responsibility to ensure the safety and security of their client’s work, especially in the post-Snowden world where security is among the top most concerns. Professional firms are especially concerned about it as it is a matter of their reputation and the reputation of all the people working in their company. It is rare to come across errors when you have opted for a top agency but if and when it happens, when dealing with a professional agency, you should have the peace of mind that the company you hired will ensure that these mistakes are corrected before the final product reaches you. Only work with a firm that promises to make sure your translation is thoroughly proofread before it’s handed over to you and Universal Translation Services guarantees this. Although size isn’t everything, translation agencies with a vast variety of translators and operating at large scale will typically have the staff and resources to adapt to your requirements more efficiently as compared to smaller companies or freelance linguists and with over 5,000 qualified mother-tongue linguists, Universal Translation Services guarantees this as well. As with most things in life, you get what you pay for when it comes to the translation industry. There are also such websites which can promise to translate your content for next to nothing but the outcome will be of dubious quality. When using a professional translation agency, you will have to pay for a certain service level but this does not mean that you should shell out more than you need to. When dealing with a professional translator, you will not only be provided with the guarantee that your work will be of best quality and on time but they will also give you the peace of mind that the price you will be paying for the work will be well worth it. We have translators available for more than 550 language combinations, and we are continually increasing our numbers. We not only do all the major national languages of the world, but we are also available for all the regional languages. We have developed an excellent network of competent translators from all around the world who are working with us to make sure that our clients receive high-quality translations. Our credibility is accountable to American Translators Association as we are a member of the ATA. 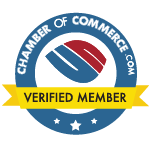 We are also accredited by the BBB (Better Business Bureau) and we always keep the quality of our work to the highest standards. We have developed a process for conducting translation that is based on employing multiple translators and proofreaders who are naïve speakers of the target language. Even more, the translators assigned to your project will be specialized in the field of the document, giving you a translation beyond reproach. We have developed this system because we believe that mainstream translation is a scientific process and like any other scientific endeavor; it has to be able to take on various scrutiny. We ensure that you will receive a proper translation that will be accepted universally. Why not a freelance translator? At the end of the day, while a freelance translator may be able to provide a good translation, some things will surely be left out from the process: the need for a second editor and proofreader, the need for quality and consistency check, and your peace of mind. You may be happy with the translation a freelance translator will provide, but when it comes to sensitive matters like legal or health or business where either money or life is at stake, that translation may not cut it. Going with a professional translator on the other hand gives you the guarantee that your document has been carefully translated, edited and proofread, then checked for consistency and quality before being sent to you. If you are looking for a professional yet affordable translator who will give you a high-quality translation within your budget, worry not; we are here to provide you with the best translation in the shortest amount of time and at a fair price! Professional translators tend to specialize in a couple of areas. 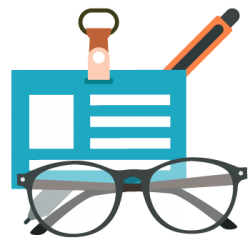 It can be challenging to find one freelancer to meet all of your translation needs: legal, finance, marketing, localization, user guides, etc. Very few have all the skills for large-volume complex projects involving translation and editing in multiple languages. Use freelance sites with care: you may end with a bad experience. Dedicated websites are better. And don’t be influenced to choose a service provider by their price card. Young freelancers get the job by offering low rates with little or no experience. Several freelancers have a busy program and don’t work with subcontractors. If you have an imminent deadline, most freelance translators will decline without being able to manage days in advance. If you have a high-volume work on your hands, then a professional translator of an agency will be the best way to go. Moreover, if you need more than translation, a freelancer won’t offer the connected services you need. For instance, you’ll often need more than translation if you’re dealing with marketing stuff or you’re working in a legal or medical industry.